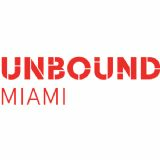 unbound will bring its globally established platform back to Miami, gathering 100+ future-focussed speakers, immersive brand experiences, pitch sessions and startup battles. Chaired by Yossi Vardi and co-hosted by Mana Wynwood, it will showcase the best grassroots technology and reflect the incredible opportunity for South Florida as an innovation hub for the entire LatAm region. Join the finest minds in fintech, adtech, AI, healthtech, eCommerce, robotics and more to make invaluable connections, discover inspirational insight and emerging technologies that will shape the future of your career and your business.